(JPOST) Hizbullah will likely fire close to 800 rockets into Israel every day during a future war, senior IDF officers said on Wednesday, as the Northern Command declassified for the first time evidence of Hizbullah’s growing presence inside close to 160 villages throughout southern Lebanon. Using the village of el-Khiam – located about 4 km. north of the border – as an example, the IDF showed extensive footage, videos and maps of homes that Hizbullah has taken over and used to store weapons caches and establish command-and-control centers. The declassified material also revealed the location of improvised explosive devices, some of them weighing up to half a ton, which Hizbullah has positioned, mostly at the entrance to the village. 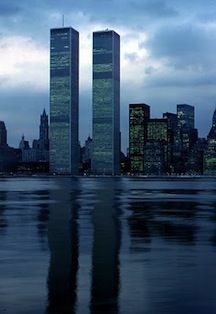 The IDF recently dispatched a delegation to UN headquarters in New York to present the evidence to diplomats. The evidence was also presented to the new commander of UNIFIL, Maj.-Gen. Alberto Asarta Cuevas of Spain. The IDF said that Hizbullah today maintains about 20,000 guerrilla fighters throughout southern Lebanon, whose main objective is to prevent an Israeli ground invasion. The fighters are also responsible for operating Hizbullah’s extensive missile capability, which would allow them to strike deep within Israel. Hizbullah has an estimated 40,000 short-, medium- and long-range missiles. The declassification of the material on Wednesday is a demonstration of the IDF’s penetration of Hizbullah and Israeli efforts to collect intelligence on the Iranian-backed Shi’ite terror group. Hizbullah has split its forces into three divisions. The Southern Division, the IDF said, consists of 5,000 fighters and has approximately 30,000 missiles and rockets and a number of subdivisions. Each subdivision is responsible for approximately 15 villages. Each village contains between 20 and 200 fighters, hundreds of mortar shells, hundreds of short-and medium- range rockets, and a number of command centers. In the maps unveiled by the IDF, Hizbullah weapons caches are shown approximately 50 meters from schools and hospitals. Storage and command centers are in most cases located inside or adjacent to civilian homes. “It is important to show the world that Hizbullah has built up its military infrastructure inside villages, with the objective that we will kill the maximum amount of civilians in a future conflict,” a senior IDF officer said. While the IDF believes that Hizbullah is currently not interested in a new conflict, it is concerned with continued attempts by the group to strike at Israel to exact revenge for the 2008 assassination of its top military commander, Imad Mughniyeh, in Damascus. The IDF is preparing for scenarios that include a kidnapping along the border and an infiltration into an Israeli border community. “We see Hizbullah’s grip inside the villages and we view an infiltration into Israel as the primary threat,” Col. Ronen Moreli, commander of Brigade 300, told reporters. 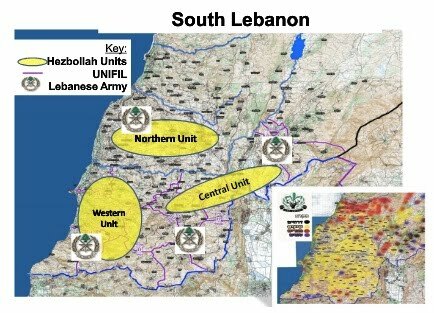 Hizbullah is believed to have established thousands of positions inside approximately 160 villages in southern Lebanon. Most of Hizbullah’s rockets have ranges under 100 km. but the group is believed to have long-range missiles – some of them the Syrian-made M600 – which have a range of about 300 km. and unprecedented accuracy.